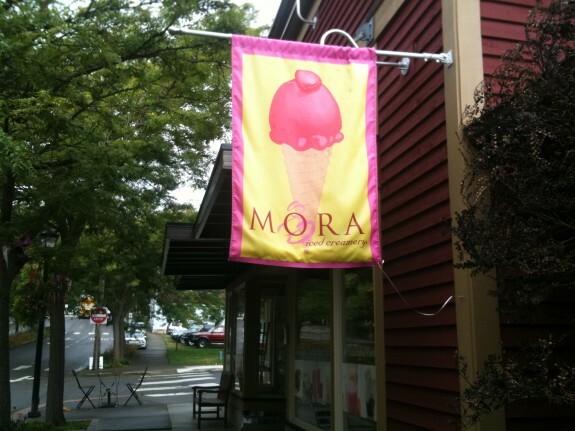 BlogHome » Last Call for Mora Ice Cream in Kingston! The time has come to close Mora Iced Creamery’s Kingston location for the season. Sunday, October 2nd will the last day the store is open for 2011. We hope our Kingston fans understand that Mora’s commitment to quality does not allow this location to remain open year-round. Our ice creams and sorbets last little more than a week at serving temperature, and without the traffic that warm weather brings to the area we are not able to generate enough sales without sacrificing our product. We appreciate your loyalty and hope you will visit either our Poulsbo or Bainbridge location until Kingston re-opens again in the spring. Thank you! Fall Mora Ice Cream Flavors Have Arrived! next post: Best of Western Washington Voting — Final Days!